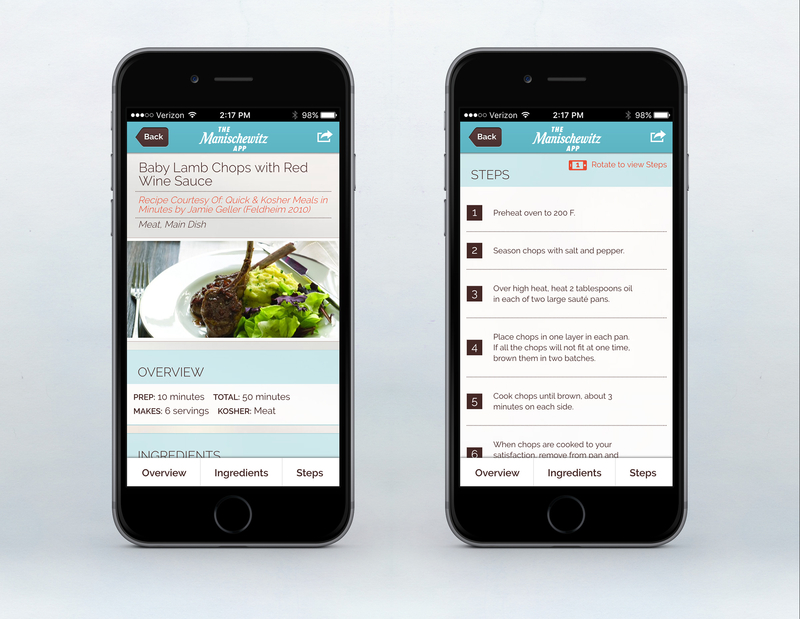 The Manischewitz Company, the leader in Kosher foods, came to RustyBrick to develop their Recipe Guide. 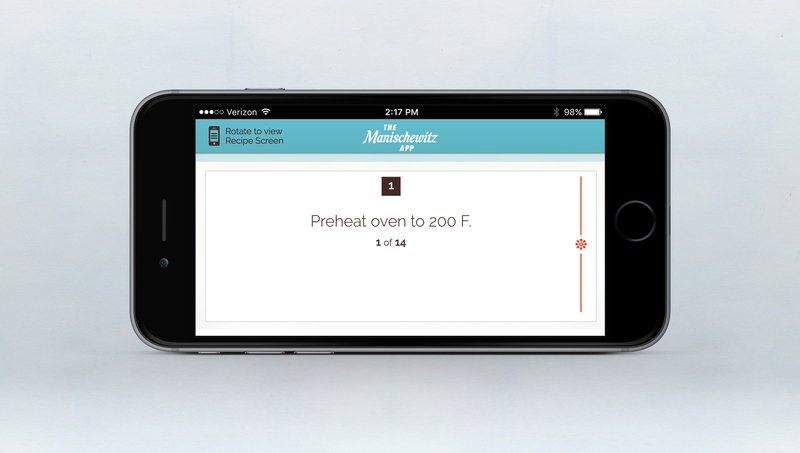 Featuring great Kosher recipes, this app walks the user through easy step by step instructions. 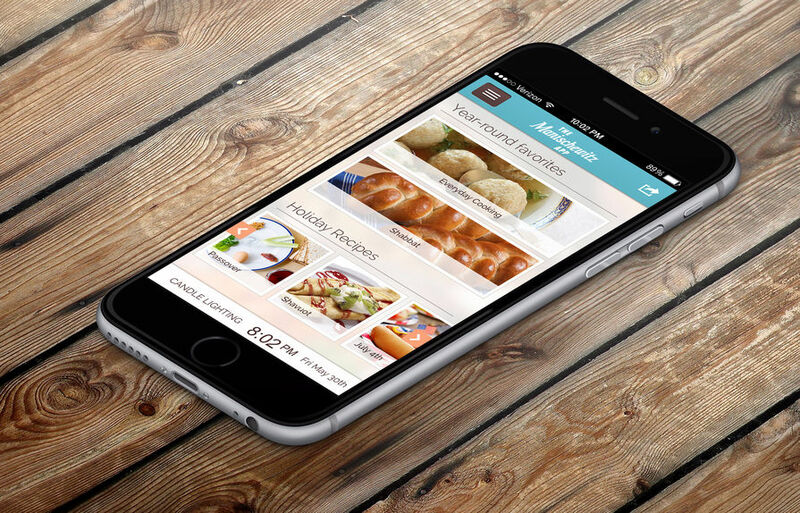 With this app, users have instant access to hundreds of delicious Kosher recipes for every holiday and any meal of the day including; Rosh Hashanah, Passover, Shabbat, Shavuot, Chanukah, Thanksgiving, Gluten-Free, Dessert, side dishes, and more. 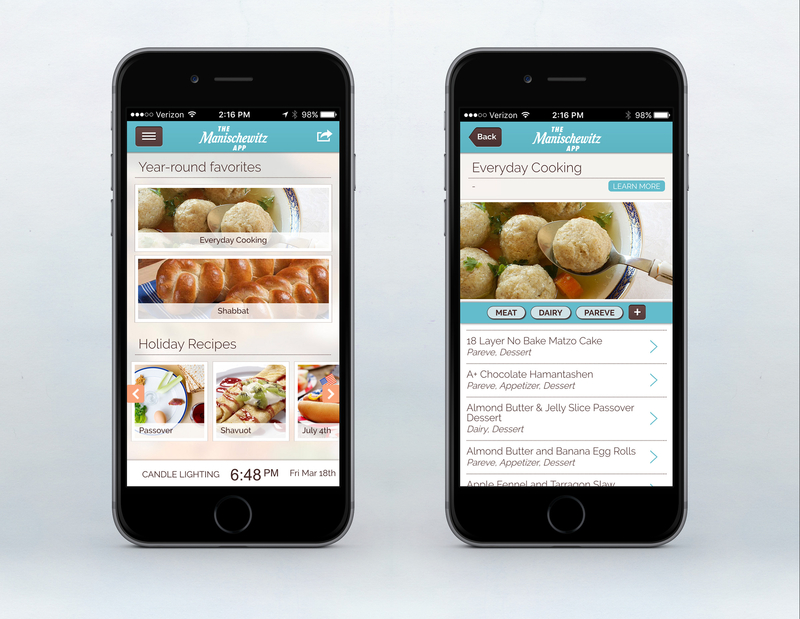 RustyBrick worked closely with Manischewitz to ensure that their brand integrity was transferred to the app. A custom backend was built to allow the client to upload images and text, so that they can keep the app up to date at all times. The overall design is thoughtful and user friendly, including a special step-by-step recipe view, when a recipe is tilted horizontally.